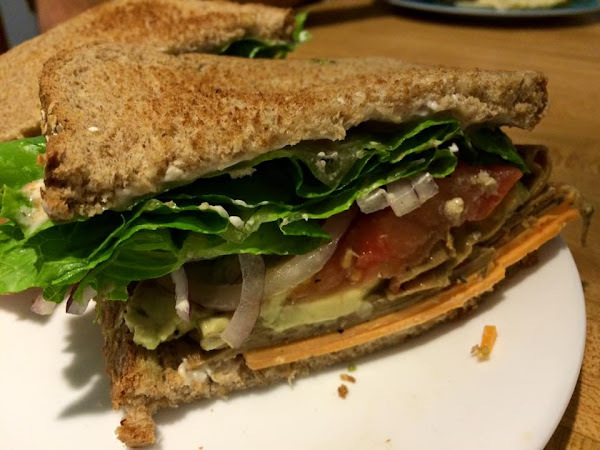 The Vegan Mouse: Backlog Photos Of Foods I Ate. When my husband cooks for me, he almost always makes me pasta. 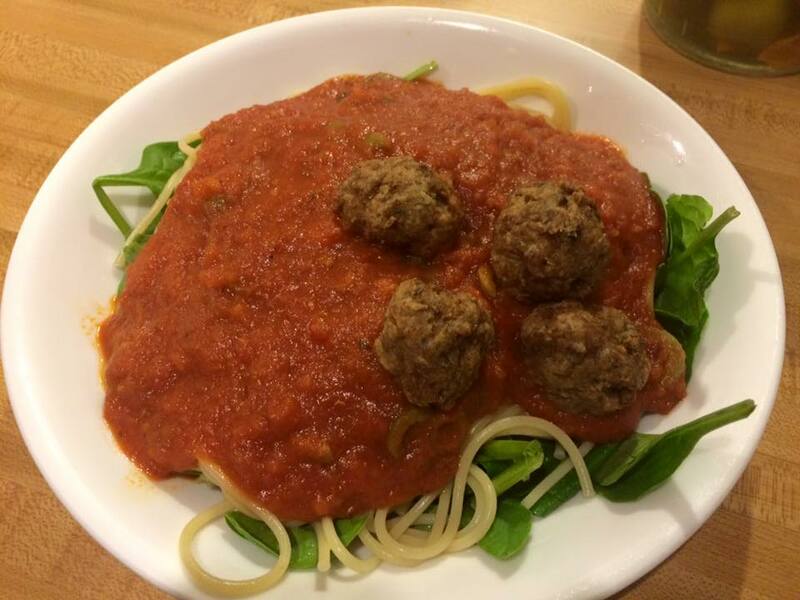 This is a simple spaghetti with marinara (we buy Gina Rispoli, Newman's, or Mezzetta) and Trader Joe's meatless meatballs. Very hearty and filling. 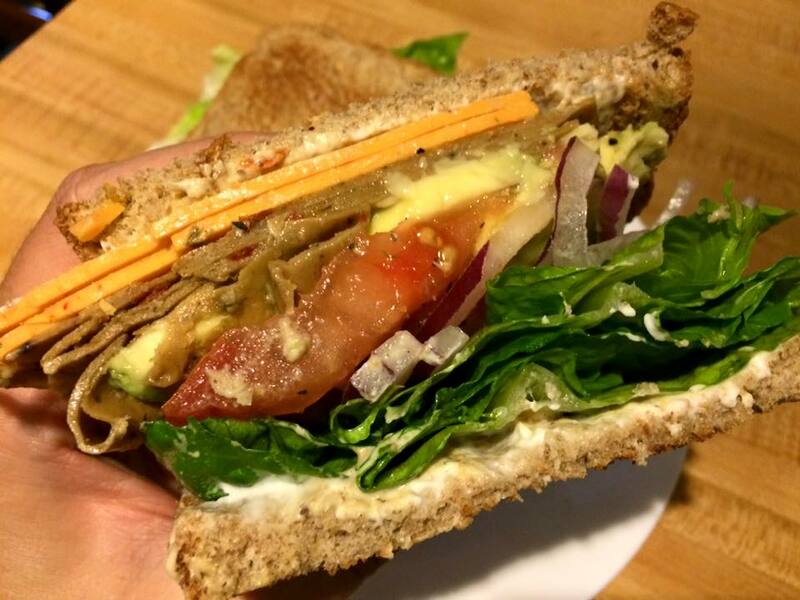 Homemade sandwich on whole grain with Tofurky italian deli, Chao cheese, avocado, red onion, lettuce, tomato and Vegenaise! 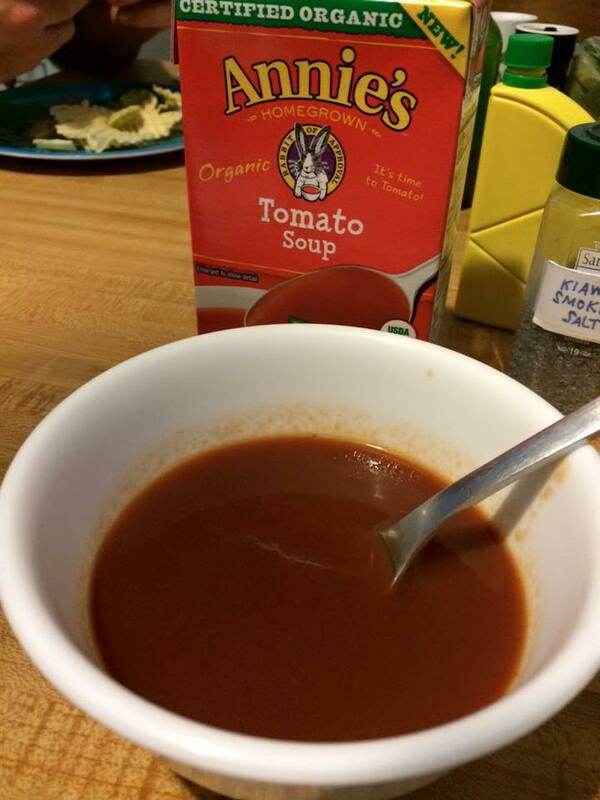 Had my sandwich with a cup of Annie's tomato soup. This is so good if you don't have time to make your own soup. Last Thursday was my birthday and I made my own cake! 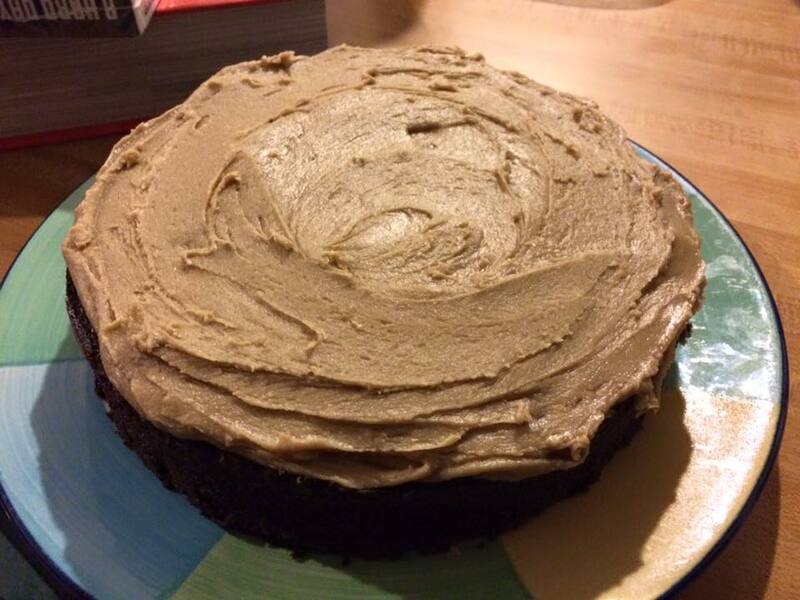 Chocolate with penuche frosting. I got the frosting recipe from a vintage Betty Crocker cookbook. It's a brown sugar frosting that is sooooo good. 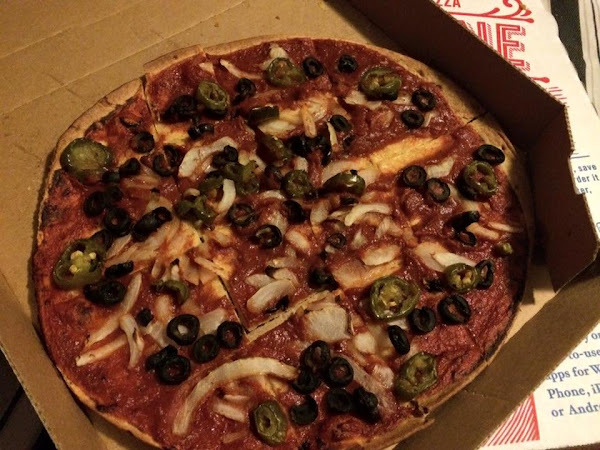 My dad bought me a birthday pizza from Domino's. Thanks Dad! 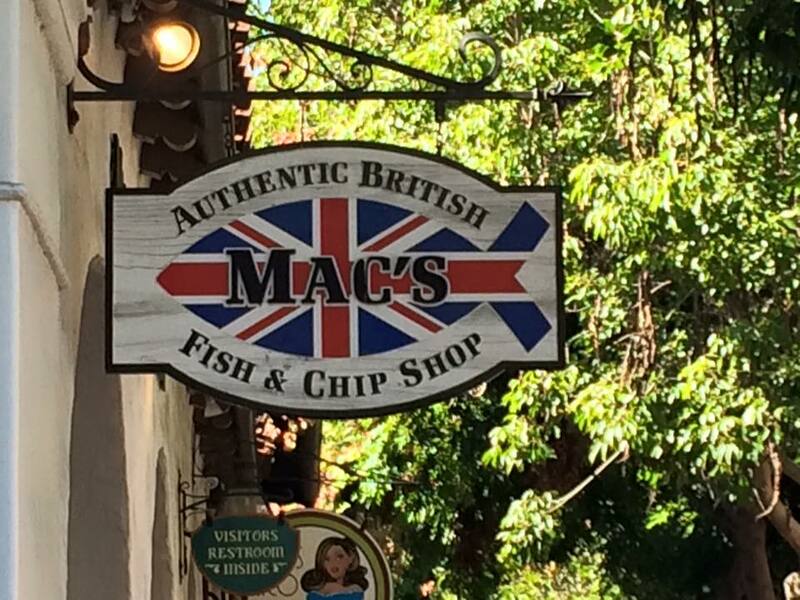 British fish n chip shop. The chips are so good. 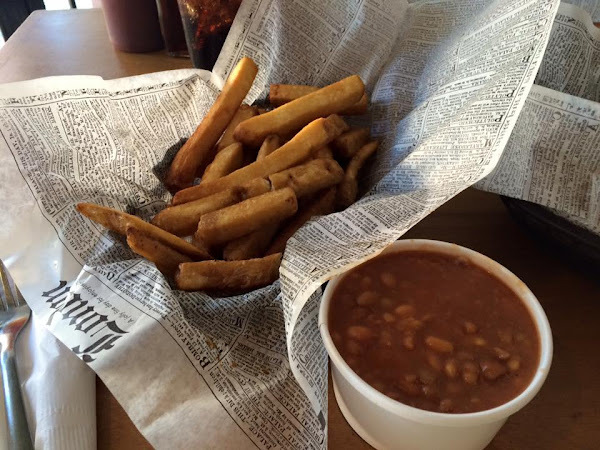 While my husband ate fish n chips, I had chips n baked beans. At The Natural Cafe there are some good vegan options. 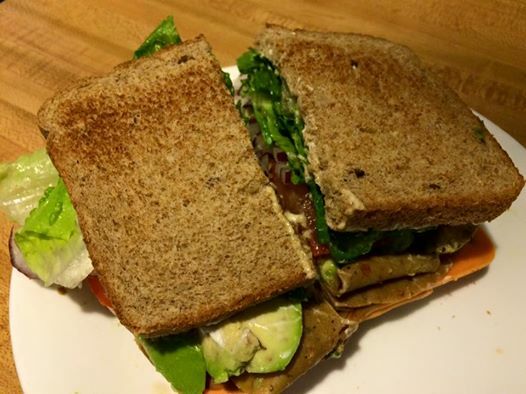 Like this sandwich. 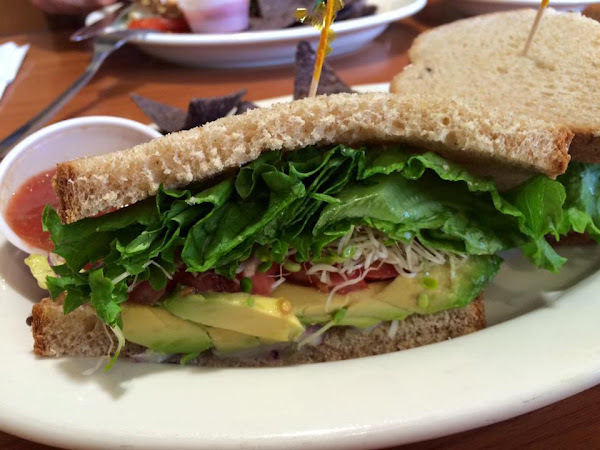 It's called the "Local's Favorite". Ask for no mayo and get a side of tahini sauce. 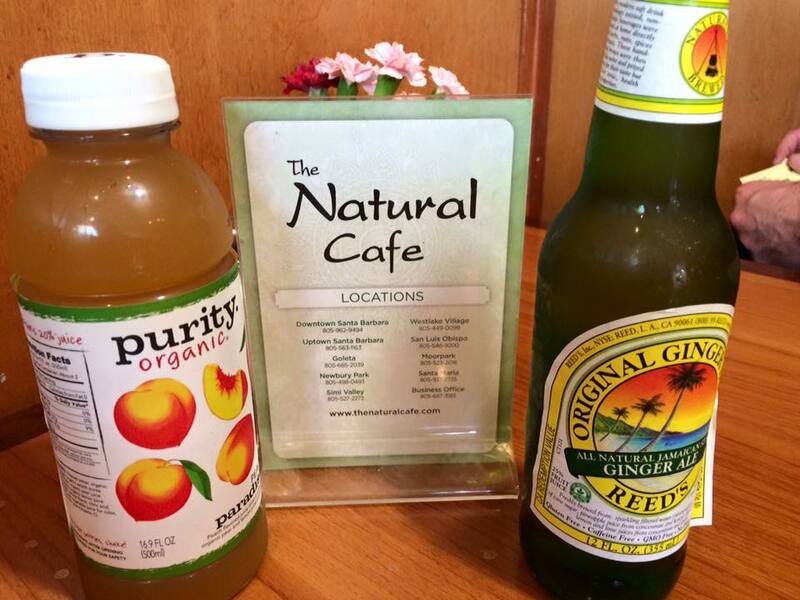 Such a good little spot to grab lunch. 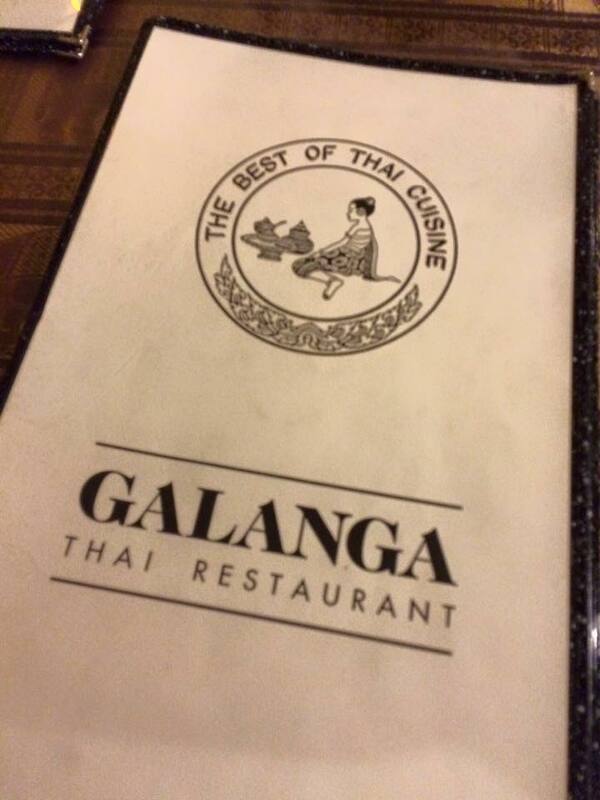 On our last night we hit up Galanga for amazing Thai food. Spicy Mint Noodles with tofu. 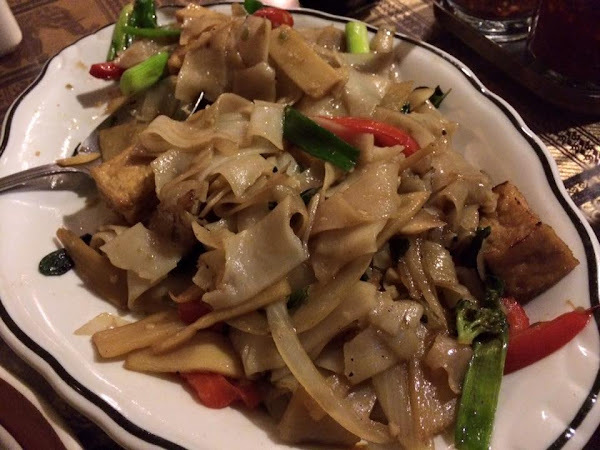 Make sure to order without fish sauce and egg. 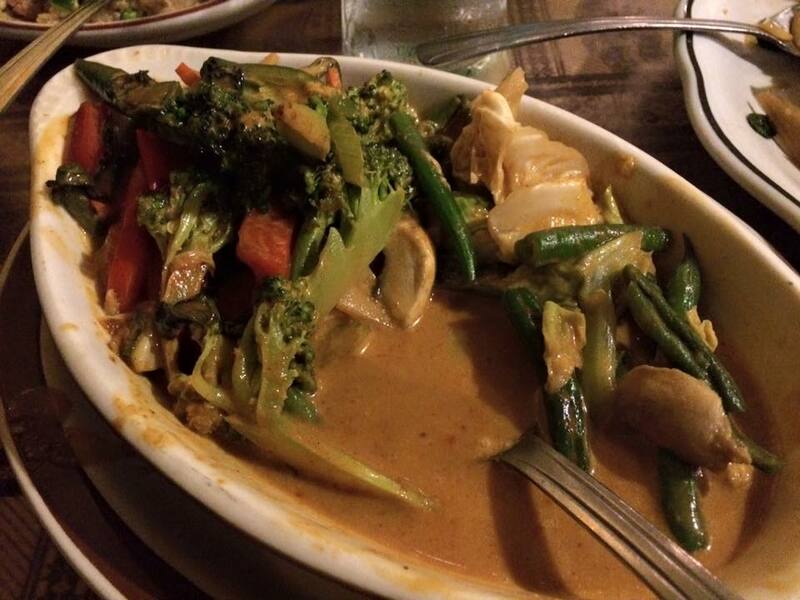 Delicious veggie red curry. No fish sauce. My plate. I was so full afterwards. Can't wait to go back to SB! 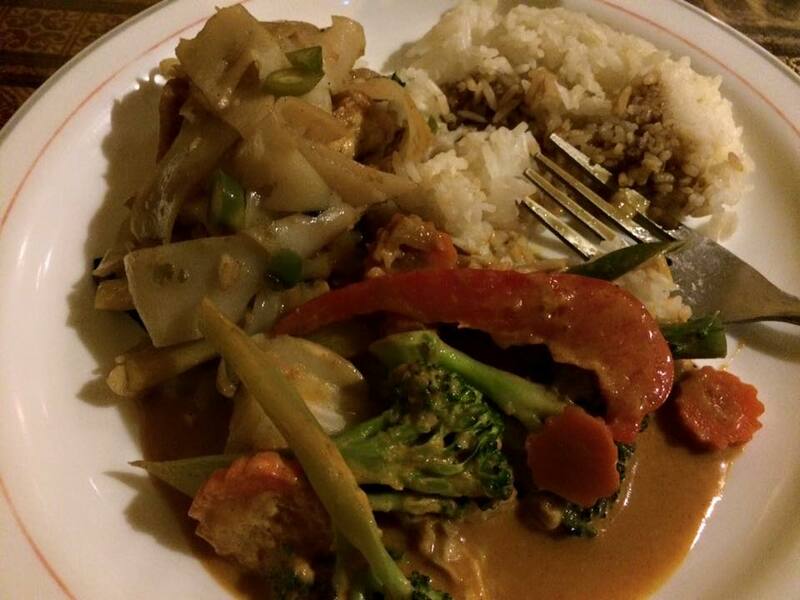 That Thai food looks amazing! Really everything does! Love the cake and frrosting. Happy belated birthday!